ICE 416 Vibratory Pile Hammer Call for rate. Walcut Model 24H Hydraulic Concrete Saw Call for rate. (mounted on Autocar Tractor) Call for rate. Shugart 10' x 40' Sectional Barges Call for rate. Shop Built Forced Air Burner Call for rate. 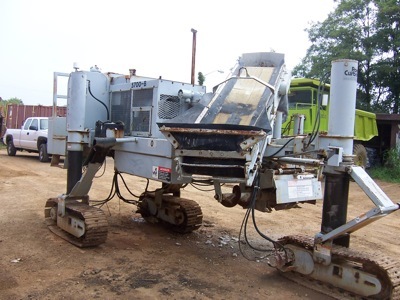 Power Curber Model 2700 Curb Machine Call for rate. (mounted on Kobelco 912 Excavator) Call for rate.